Lightning's Girl: All Hail Cardiel! VBS.TV has an incredible 16 part video on legendary skater John Cardiel. He was hit by his own tour van and paralyzed. He vowed to walk again, and through his own will and determination he defied the doctors predictions and recovered from his injury. His story is inspirational to all people, not just skaters. John Cardiel is the kind of person that has a wild focus. He is going so fast that there is no time to stop and worry. His accomplishments are just waves in the wake of his personality. All 16 parts are to the right of the page. VBS.TV and VICE magazine did release these 16 parts on a limited edition DVD which I am lucky enough to own a copy of. It is free and available at select skateshops, or by sending a S.A.S.E. to Epicly Later'd, but I would guess that they are all gone by now. 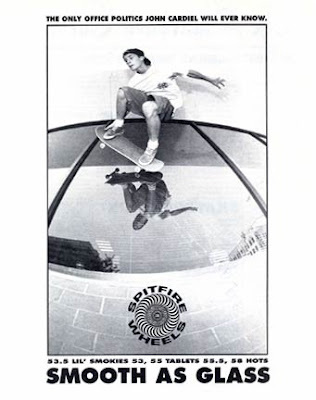 Sometime in the 90's skateboarding had lost its way. This was the era of big pants and small wheels. Things were slow, flat and very technical. Along comes Cardiel, speeding, blasting and boosting. He wasn't bringing back some old-school vibe, and he wasn't setting the stage for the future either. He was just being himself. He had speed, balls and style. He went against everything that was trendy and popular at the time. Not because he was deliberately defiant of the times, but because he is absolutely timeless. And he is universally loved and respected for it. 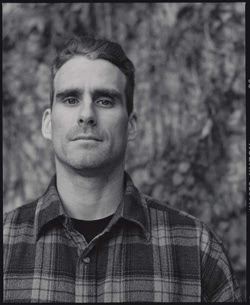 John won Thrasher Magazines 'Skater of the Year' award in 1992. This is the montage they compiled for that awards ceremony.